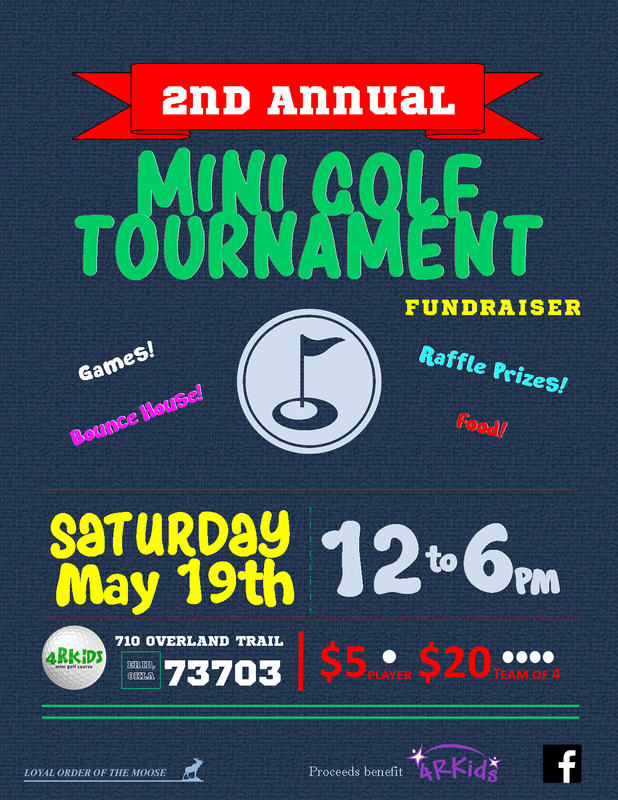 Test your putting skills at our 2nd Annual Mini Golf Tournament Fundraiser! All you have to do to enter is show up anytime from 12-6 PM, pay the fee and play a round of golf, and let us know your score! And before or after you play you can enjoy games, raffle prizes, food, a bounce house, and other fun activities! This is a great time for families or individuals. 100% of proceeds will be donated to 4RKids.